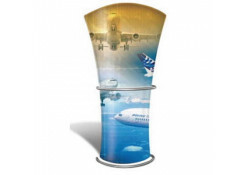 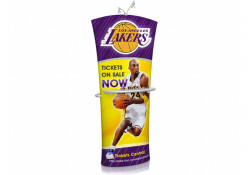 Trade Show Emporium's fabric banner stands are a great addition to any trade show exhibit display. 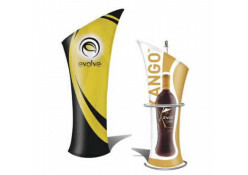 Our fabric banner stands show off your company's logo and images with high quality printed graphics. 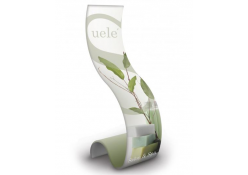 The banner stands are easy to transport and come with their own carrying case for easy travel. 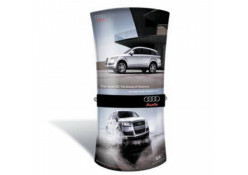 The printed dye-sub graphic panels are easy to switch in and out so your company can readily freshen up graphics and display.